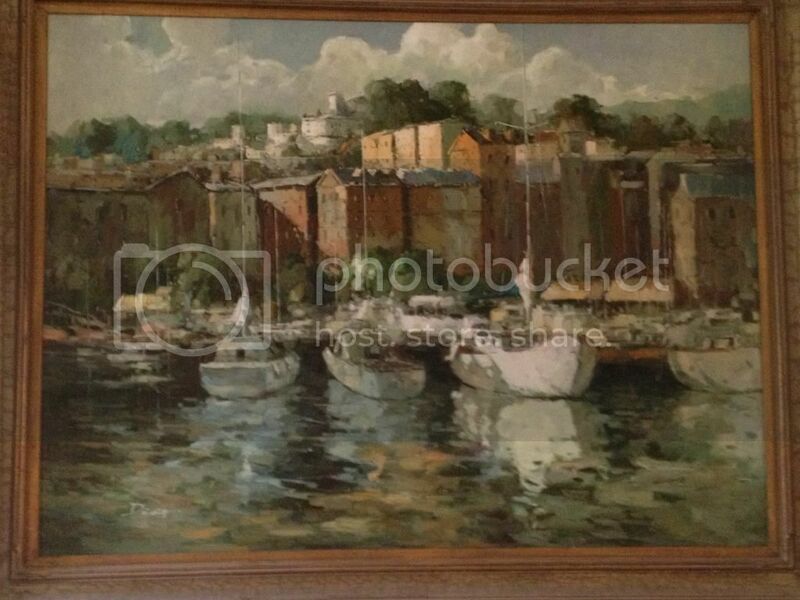 I was wondering if anyone could identify this artist. Everytime i look at this painting I see something new. Faces in the water. A skull, a smiley face on the building on the right. I was hoping it was a known artist and I could find more work by them. I won't be insulted if you tell me it's garbage lol. I am not knowledable about art but I love this oil painting. It looks like a traditional oil painting scene and then I discover so many hidden gems in it. Ha it's probably my imagination. Kind of like when you look up into the sky and see cloud formations. I see lots of faces too! Yay! So glad I'm not the only one picking out faces. I guess it's not a known artist. I've searched the signature as I think it reads and have only come up with ernesto deira and it doesn't look like his work. I can't find any examples of his signature. If you squint really hard you can make some of the faces in the water look like his "PORTRAIT". lol It doesn't look like he's ever done any work with normal landscapes. 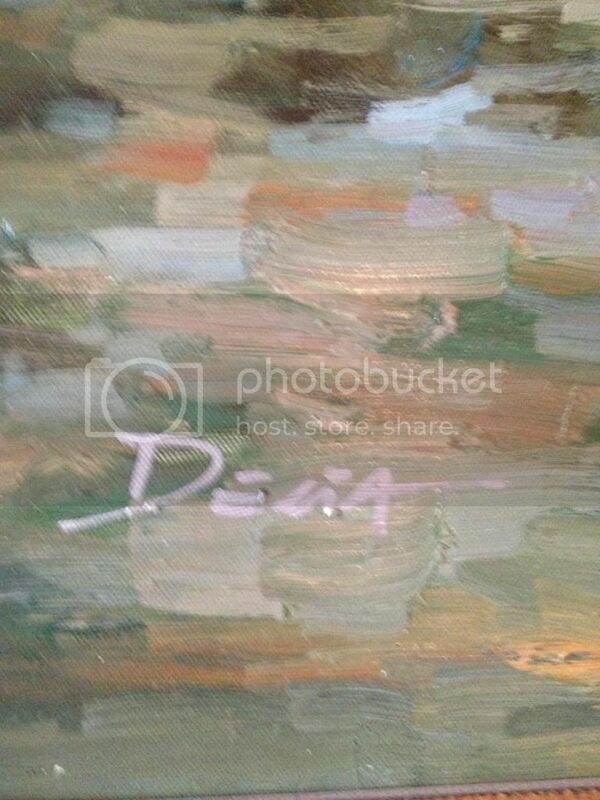 I searched deina and a few other variations of the signature and nothing. I'd really like to see one more piece to see if hidden smiley faces is a trademark of this artist. I like the piece. I guess that's all that matters. Is the picture missing? I can not see anything.